Some moms say that giving babies Karo syrup for constipation is a good idea. Yet you’ve probably read stories online of moms whose children have become seriously ill from Karo syrup. So what’s the truth? Here’s the real deal when it comes to using Karo syrup for constipation. Why is it a bad idea to give your baby Karo syrup for constipation? Although Karo syrup used to be considered a home remedy for constipation, today’s manufactured dark corn syrup may not contain the same type of chemicals needed to bring fluid into the intestine to soften stools. Furthermore, Karo syrup may contain harmful C. botulinum spores which can cause a rare and serious disease called Infant botulism. 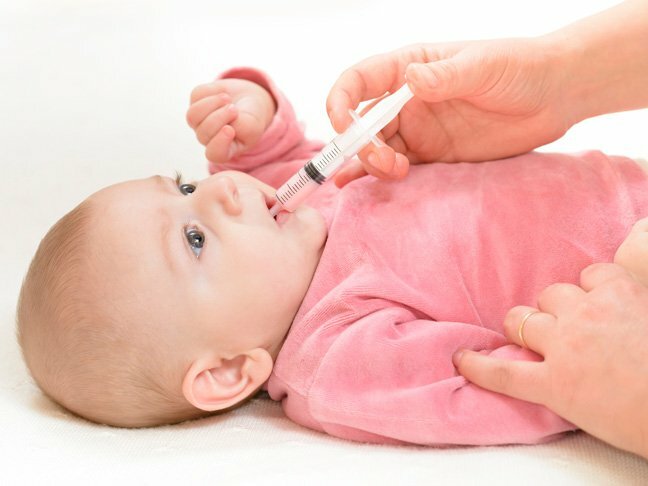 Since a baby’s immune system is not developed enough to handle the bacteria from the C. botulinum spores, they can grow and multiply in their intestines, eventually producing a deadly toxin that will make a baby become gravely ill. Therefore, the Mayo Clinic strongly advises against using Karo syrup for constipation in babies. What other constipation “remedies” should parents avoid? Never use mineral oil, laxatives or enemas to treat infant constipation at home. When you’re in doubt, contact a physician or healthcare provider for professional advice on what treatment to give your child. What are some safe alternative remedies to help alleviate baby’s constipation? When should we consult our child’s pediatrician? If changing your baby’s diet doesn’t work and she hasn’t pooped once for five days, call your doctor. Black or bloody stools should also be checked on by your doctor, since both could be a sign of a more serious medical problem.